MCDonnell Skip Hire › Blog › Removal Assistance In Kensington - Hire The Right Mover! You know what's the best way to make your home removal in Kensington a less stressful experience? Get in touch with a dependable removal company! Think about it; with a highly trained removal machine on your side, your workload will be cut right down to size. All of the heavy lifting, loading and van driving will be handled by professionals, and that not only makes your move a whole lot quicker and easier, but safer as well. No potential back ache or strained muscles, just an efficient W8 based relocation! It does sound tempting, doesn't it? By hiring a mover to take care of the hard work and physical stress, you can follow along at your own pace. You can think about what to do at your new home, and what home improvements are on the table. You might want to furnish your home with new furniture pieces too. Sure, removal experts based in the SW7 will add to your budget, but it's a small price to pay, Especially if you work hard and do your research before hiring. So, how do you go about getting a good deal? First off, make a list of local W8 removal companies. Check the small ads, the internet and telephone directories to find potential candidates. You can ask for personal recommendations too – if you've got any family or friends that can share their experiences with companies from this area, then ask them. If they would rate a certain removal service quite highly, then consider that company a priority when you move onto the next step. Once you've made a list of all of the potential companies, now is the time to start asking for estimates. Their flat rates are not anything to go by, because their prices will change depending on the weight and distance of your move. Ring up each company on your list, tell them how far you're moving and how much weight (approximately) you'll be taking, and see which one gives you the best deal. Keep in mind; if the estimate seems a bit low, question them about it. Some removal companies like to omit certain charges, like the fuel, maintenance and labour costs. Only hire the company if you're one hundred percent sure that you're being told the whole story. Make sure you're getting all of the additional services that you require too. 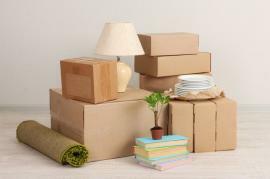 If you're looking to pay extra for some expert packing and furniture disassembly services for example, ask about them. You might even be able to get some services at a discount if you play it cool enough! Don't forget the insurance either. When you're on the phone with your company of choice, insist that they tell you what cover you'll be protected by. In an ideal world your valuables' safety is guaranteed, but accidents do happen. Hiring the right mover is essential to a smooth relocation. If you do your research beforehand, you can guarantee that you're not only getting the finest moving service in Kensington, but at the best possible price as well. There are many perks to a respectable mover, and it's not just limited to the efficiency of the move itself. Little things like staff with a friendly attitude, careful drivers, and so on. Things like that are important on a move because they're not inherently obvious when you hire the company, but you'll be happy when they are. And they will come as standard with the right mover.